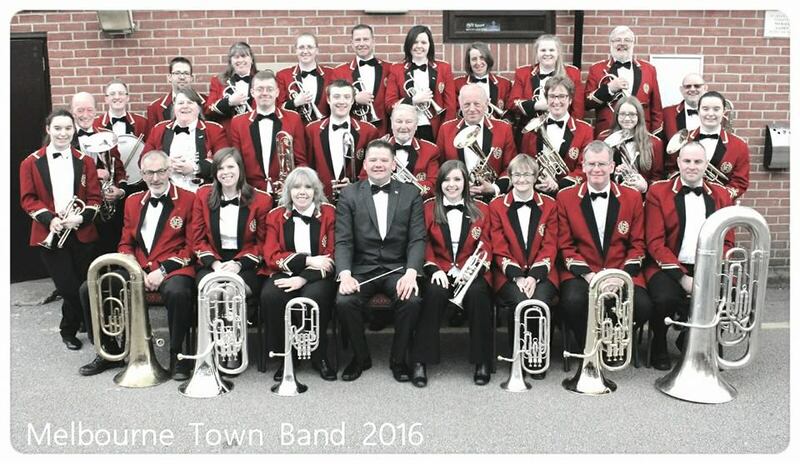 Melbourne Town Band is a friendly non-contesting community based brass band organisation, based in the market town of Melbourne, Derbyshire. Aside from the main band, our organisation consists of three further groups including a Training Band, a Beginners' Band and Drum Corps. The various bands put on many concerts each year in Melbourne and the neighbouring areas, consisting of a wide repetoire of popular music. Regardless of whether you've only just started playing, or have many years of experience, we have a band for you!